Projects completed at LexBlog, a publishing platform that provides lawyers with blogging services and coaches them on how to use social media to grow their businesses. 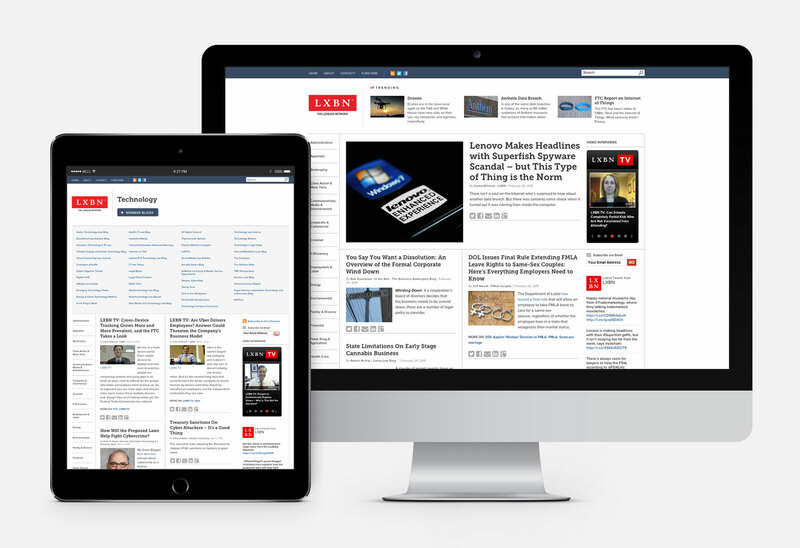 The largest global professional network that curates and publishes content from more than 8,000 LexBlog authors and 850 publications. 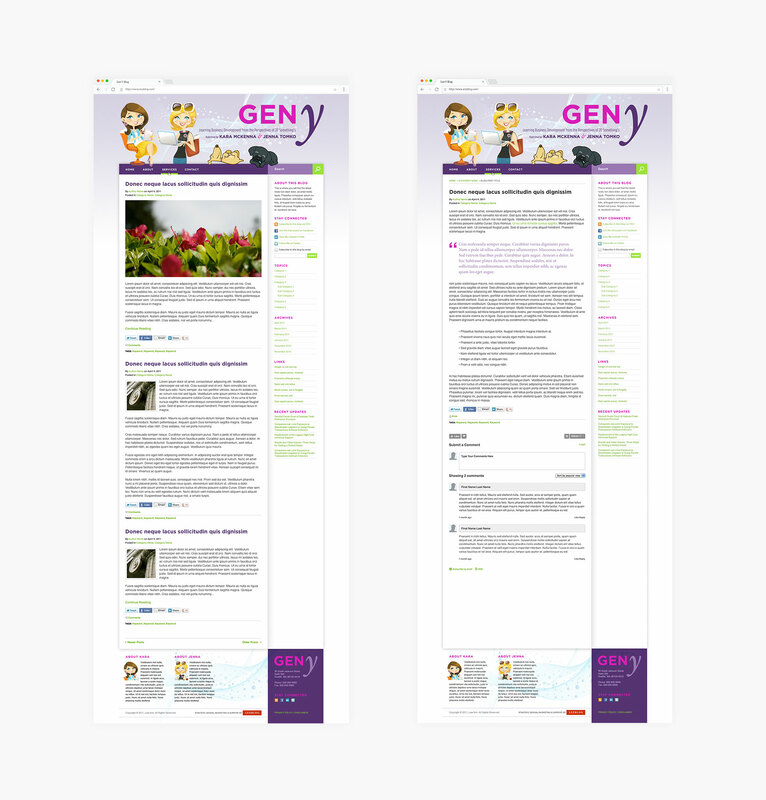 It was born out of a 1-day hack project that I helped ideate and wireframe. I also provided general direction and feedback on final design. Blog design for LexBlog's Business Team. The authors share their perspectives on how everyday interactions and experiences apply to business development. 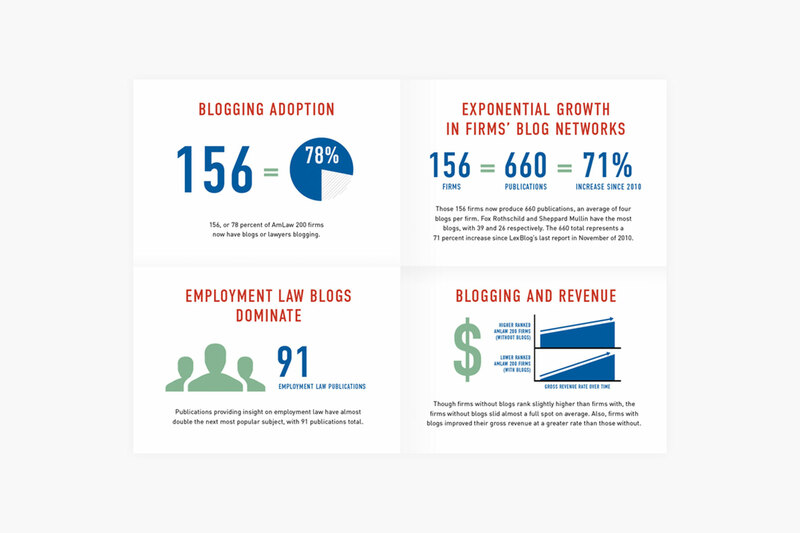 Promotional handout summarizing the growth of LexBlog's network and the impact blogging has in the law community. Featured at the 2013 State Bar of Texas Annual Meeting in Austin.